Drake and hip hop trio Migos brought the ‘Aubrey & The Three Amigos’ tour to the MGM Grand Garden Arena Friday and Saturday in Las Vegas, charging up 26,000-something fans across two nights with back to back, nonstop hits and hot tracks off 2018 album Scorpion. Short of signing papers, Vegas adopted the quartet by way of its rafters-shaking reception to a two-hour performance carried by a mostly solo Drake and bolstered by a massive custom-built, high-tech video stage incorporating projections, content mirroring, and other jaw-dropping special effects. 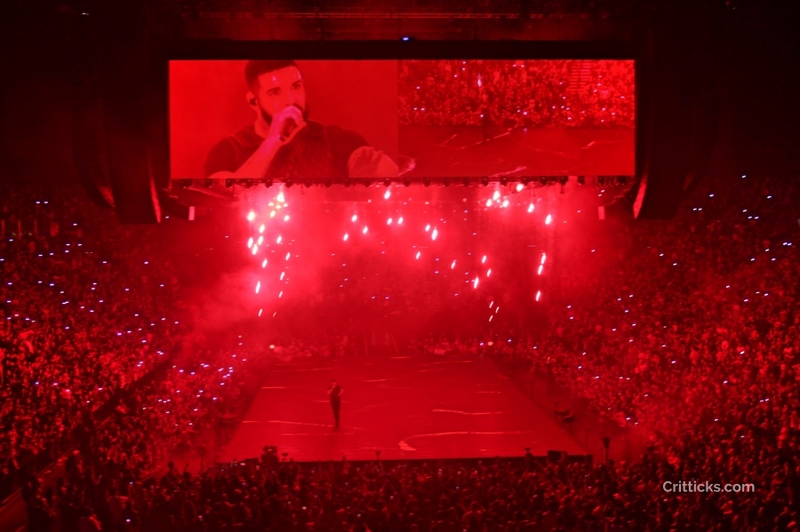 An always-changing video stage offers the audience a 360-degree view of the star, who performs atop the rectangular structure supported by 288 video decks and 260 feet of video paneling that constantly morphs around Drake, transforming into everything from a glowing, neon kaleidoscope to a stories-tall phone screen scrolling through Instagram. Drake next hits Phoenix before launching a six-night residency in Los Angeles in an ongoing North America tour that wraps up Nov. 18 in Atlanta. MGM Grand Garden Arena next hosts a trio of legendary artists throughout October, to be headlined by Ozzy Osbourne Oct. 13, Jimmy Buffet Oct. 20, and Phil Collins Oct. 27. BLU-RAY REVIEW & GIVEAWAY — "Tag"
Cameron Bonomolo is co-founder of Critticks.com and an entertainment writer, critic, photographer and videographer based in Las Vegas.